For this styling of my Asneh sweater I opted for casual. 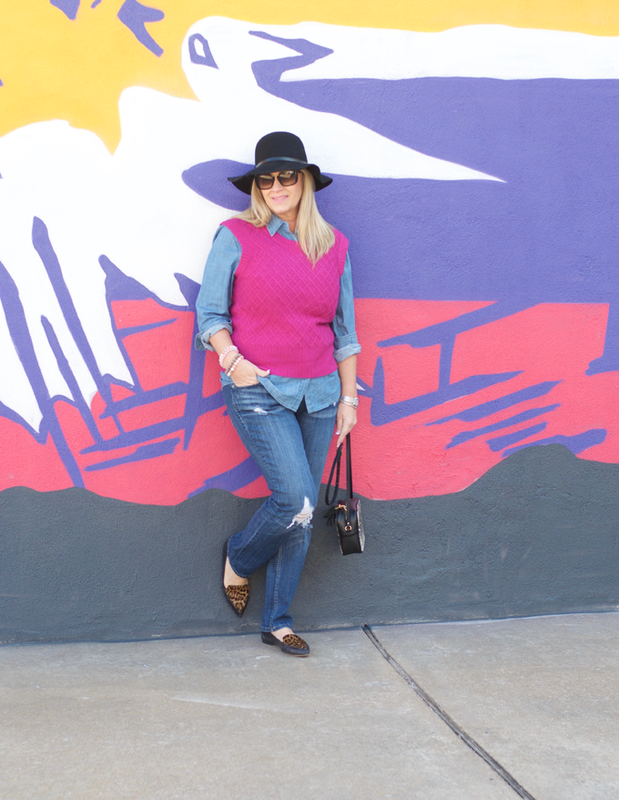 When I shared with you here as the perfect cashmere vest I knew I needed to share a casual look so you can see just how versatile this vest is. 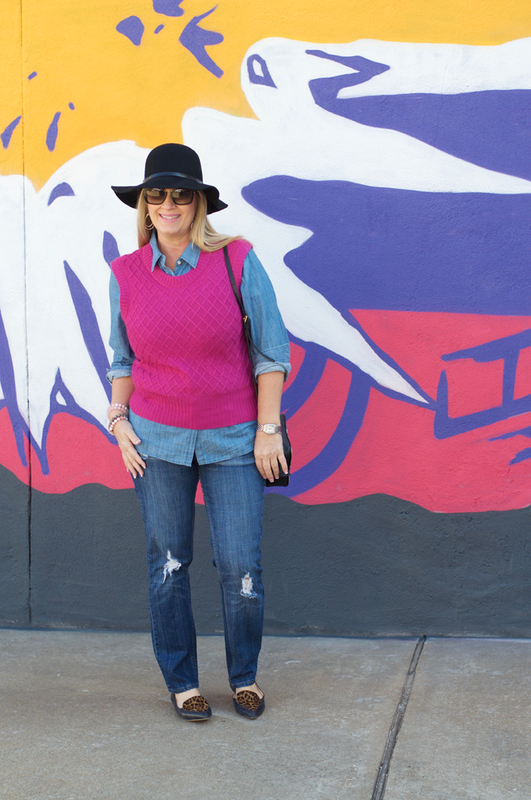 What better way to dress down than in chambray and denim. Of course with a floppy hat too! 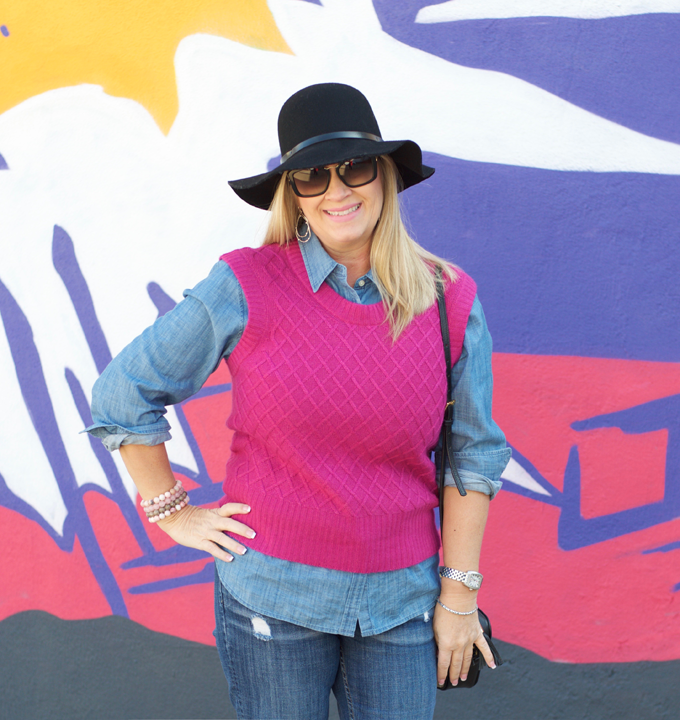 When I think of layering with a sweater, I think bulky. 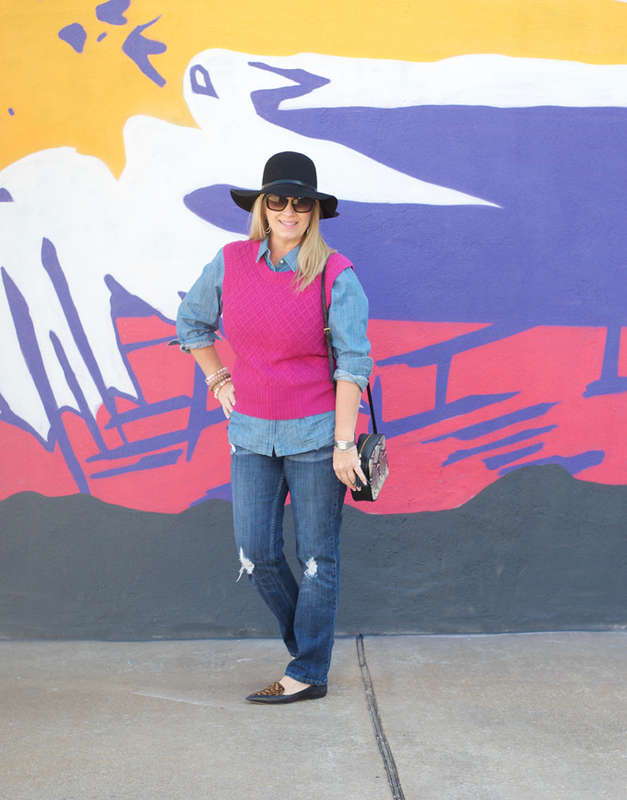 I love the vest because it eliminates the bulk but keeps the warmth. I wish it was a little longer for me personally, but it is so soft and perfect with your shirt tails hanging out to make up for the length. I have really been working hard to shop my entire closet this season with very little new additions. I am struggling to not buy any new sweaters this season.... but reworking what I already own has pushed my creativity in my wardrobe! When was the last time you shopped your closet to create a new outfit?